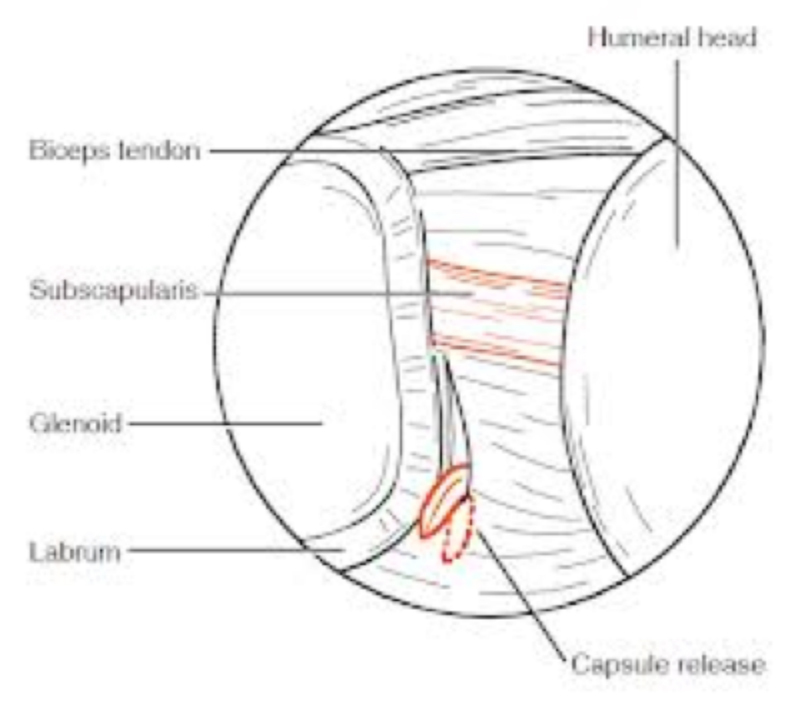 Arthroscopic capsulotomy – Sudihir RaoIf the shoulder stiffness does not resolve with time and physiotherapy/local injections of steroid etc then surgery may be necessary to improve the movement. This procedure is done for shoulder stiffness secondary to a frozen shoulder, osteoarthritis or after fractures/shoulder injuries. The shoulder capsule is divided in between the rotator cuff tendons (interval release), anterior and inferior capsule and posterior capsule, if tight. I generally do a gentle manipulation at the end of the procedure to ensure I have achieved the desired result. Post surgery physiotherapy is essential to restore the range of movement, which recovers gradually, over months. The procedure is done very carefully to avoid nerve damage. To date I have not personally had this complication. If the problem is picked up early enough inflating the shoulder capsule with fluid and dilating (Barbotage) it can dramatically stop the stiffness and result in a rapid resolution.